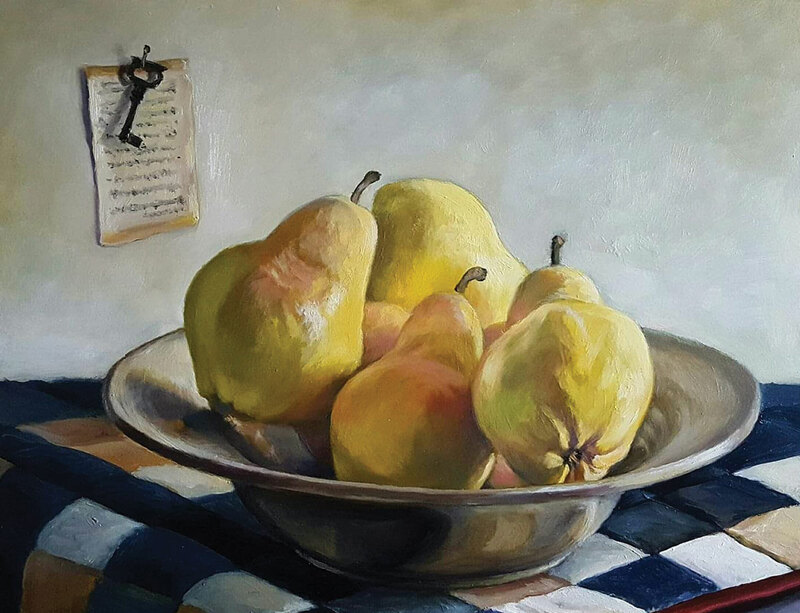 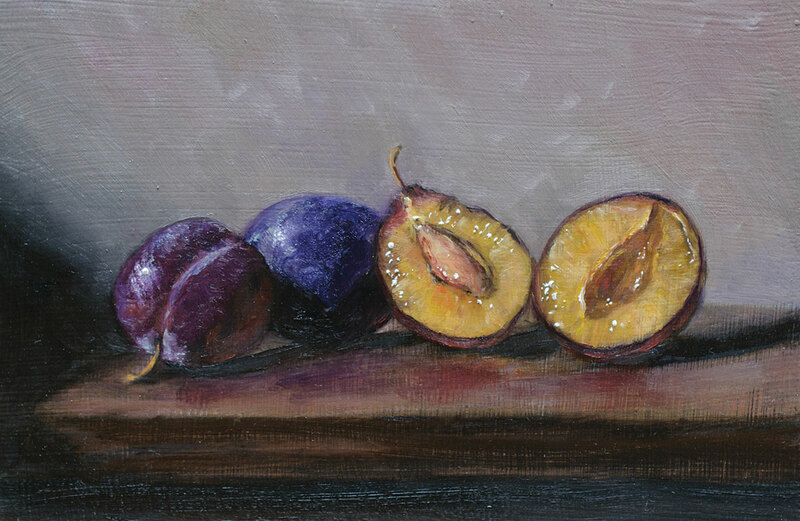 Simply Still brings together four local painters in three mediums who explore the age-old genre of still life painting. 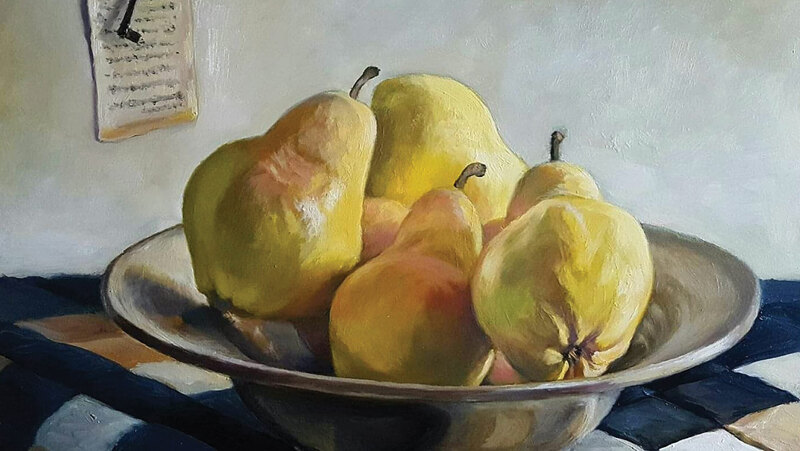 Oil painters, Sandra Corpora and Lauren Kindle, Master Pastelist Jacqueline Meyerson, and watercolor artist, Elena Shackleton create beautiful studies of form, color, texture, and composition. 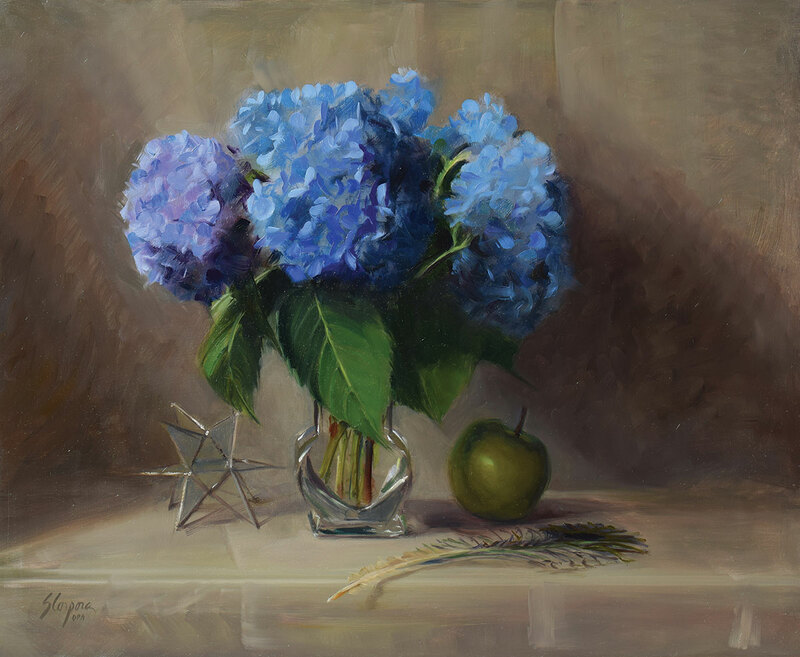 Using their chosen mediums, they combine traditional subject matter such as flowers and fruit with common- place objects including glass bottles and jars, fabric, and even playing cards. 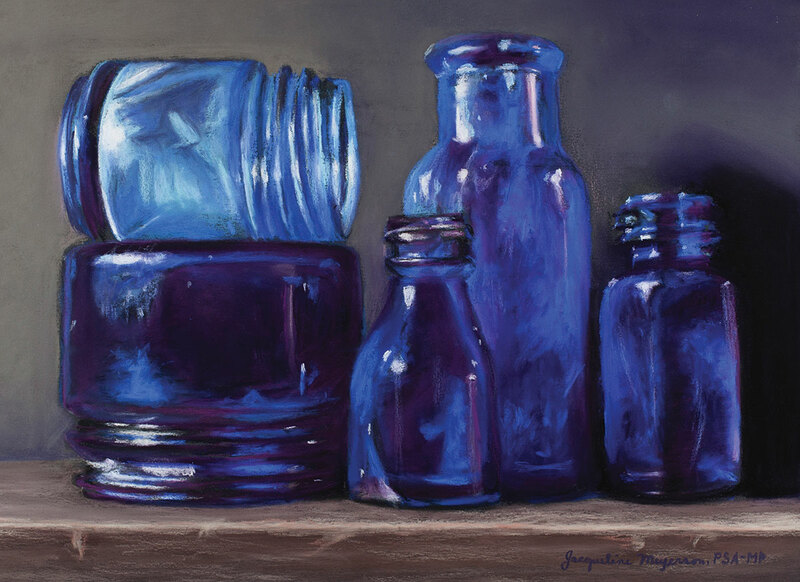 Contemporary and traditional styles merge in this elegant and poetic exhibition as these artists patiently observe and reveal the subtle details of their subjects.